You will find comic books, toys and other cool stuff, plus I hear that HarraH will make the trek up North to perform an acoustic set, and it’s all for a good cause. 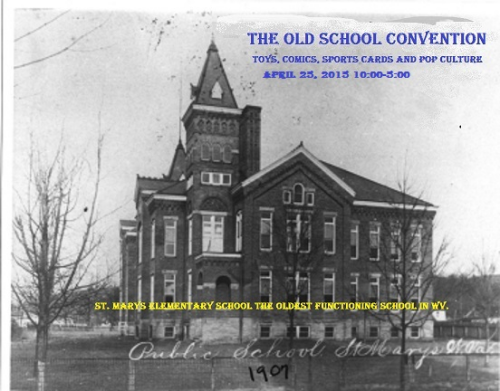 The show runs from 10 AM to 5 PM at St. Marys Elementary School, 317 Washington Street in St Marys, WV. Five bucks gets you in the door. There will be raffles and cosplay and tons of other neat stuff. Vendors from all over the Tri-State will have goodies for you to buy and Ghostbusters, WV Division, will be on hand to minimize ghostly apparitions.